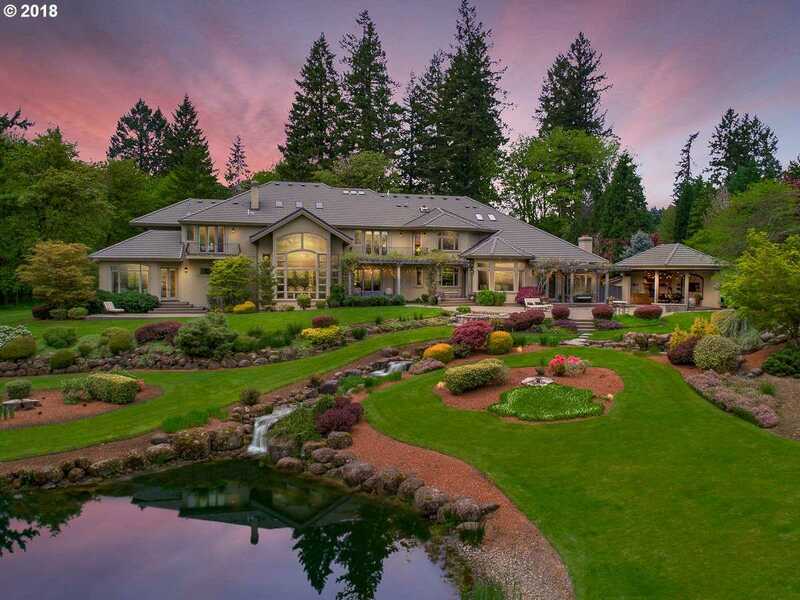 A true Northwest estate in the heart of West Linn’s wine country. Fronting the 18th fairway of the Oregon Golf Club this artfully built & meticulously maintained 19 acre grand entertainer has the best of all worlds; main floor master, gourmet kitchen w/great rm, full bar, billiard room, media room, en-suite guestrooms w/walk in closets, oversized 4 vehicle attached & 6+ detached garages, covered outdoor kitchen all w/ ultimate privacy! Please, send me more information on this property: MLS# 19363974 – $3,498,000 – 26350 Sw Petes Mountain Rd, West Linn, OR 97068. I would like to schedule a private showing for this property: MLS# 19363974 – $3,498,000 – 26350 Sw Petes Mountain Rd, West Linn, OR 97068.